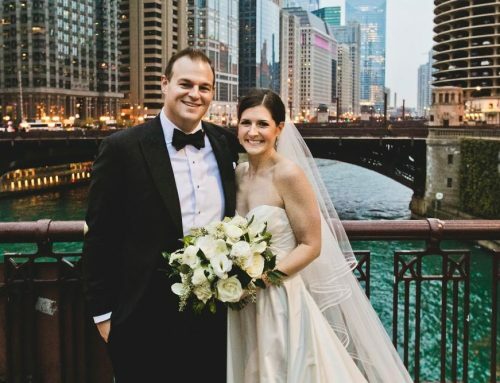 When Brian and Katie first met at a city bar called Stanley’s, they had no clue that in just a few years’ time they would be living together with a dog named after that very same bar. 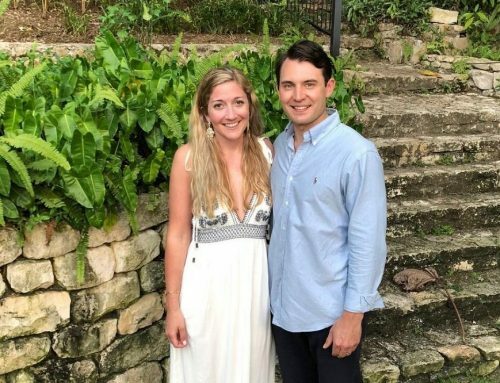 After Brian left, the couple went several months without any contact but when Brian texted her on New Year’s Day, the conversation simply never stopped. 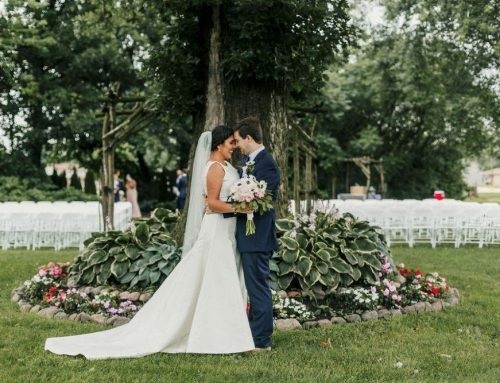 Neither of them had been able to stop thinking about the other. 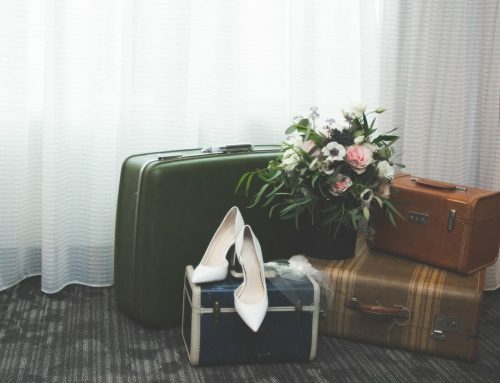 Before Katie knew it, she was booking a flight to Seattle- a city she’d eventually move to so that the couple could start their life together. 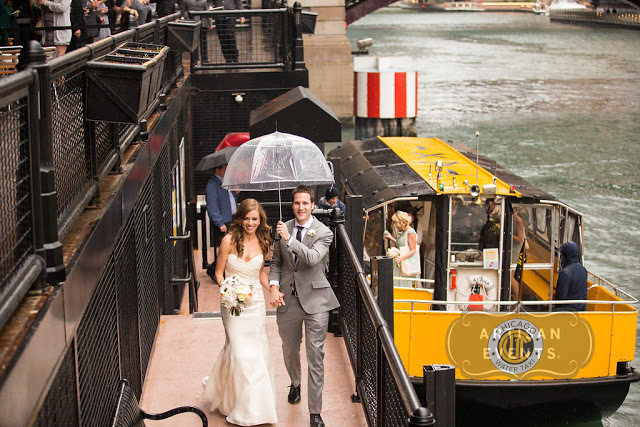 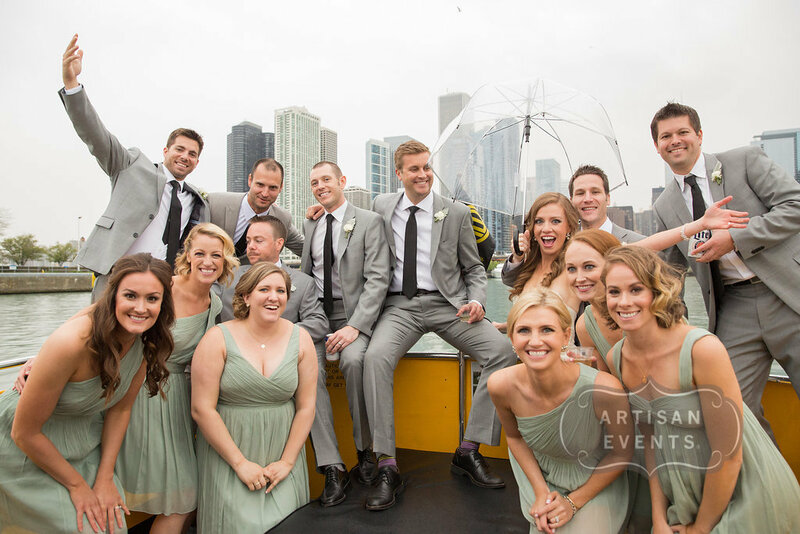 After the ceremony, the new Mr. and Mrs. Betz treated their bridal party to a short cruise on the Chicago River before arriving at their reception via water taxi. 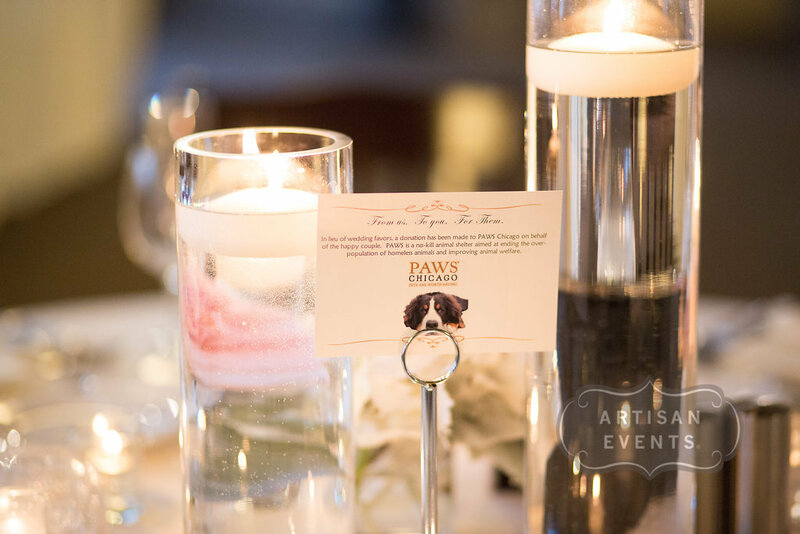 The after party featured billowing crème drapery, delicate floral centerpieces that echoed the Survivors Garden, luxurious ambiance provided by bobbing votive candles and surprises for the guests that included a photo booth and cheeky “Betz Day Ever” bracelets. 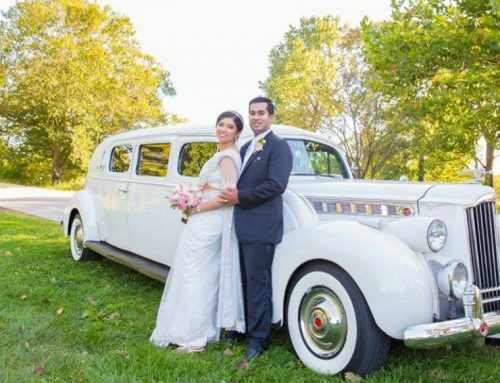 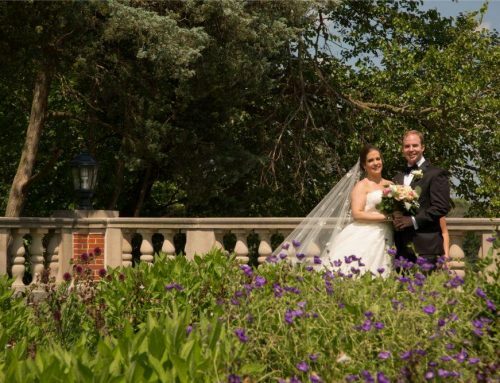 In lieu of favors, the newlyweds made a generous donation to PAWS Chicago, a no-kill shelter. 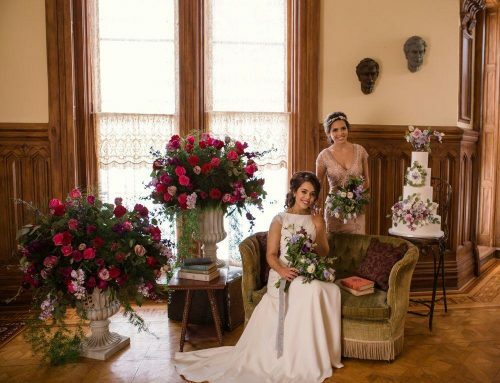 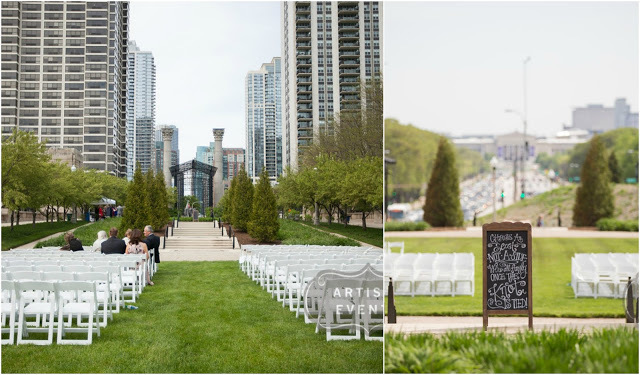 Can’t get enough Real Weddings? 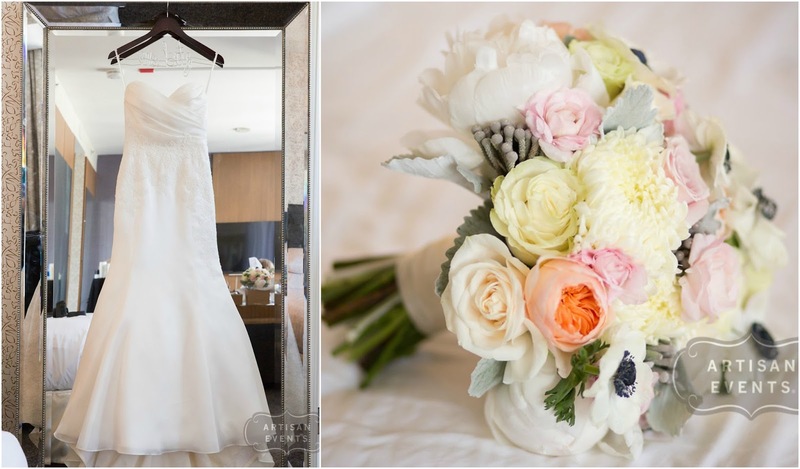 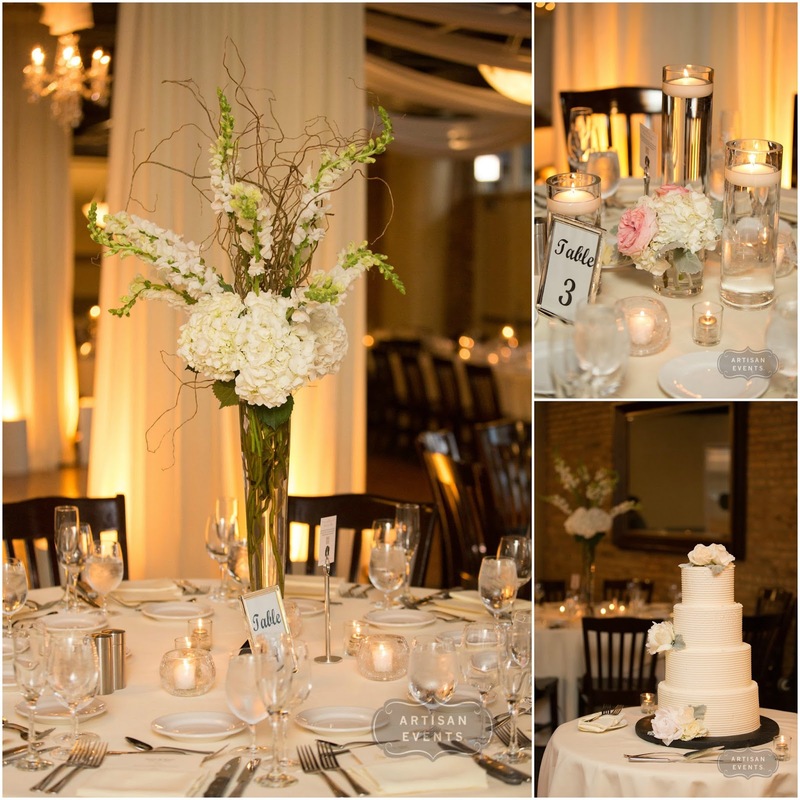 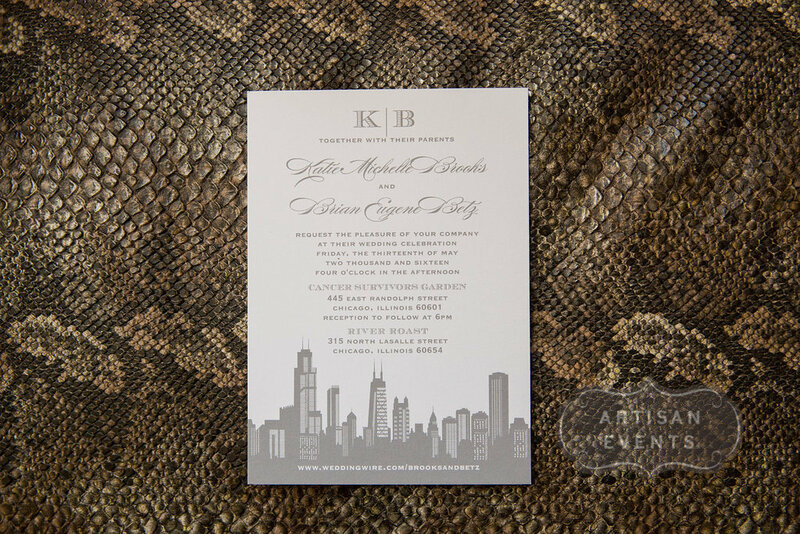 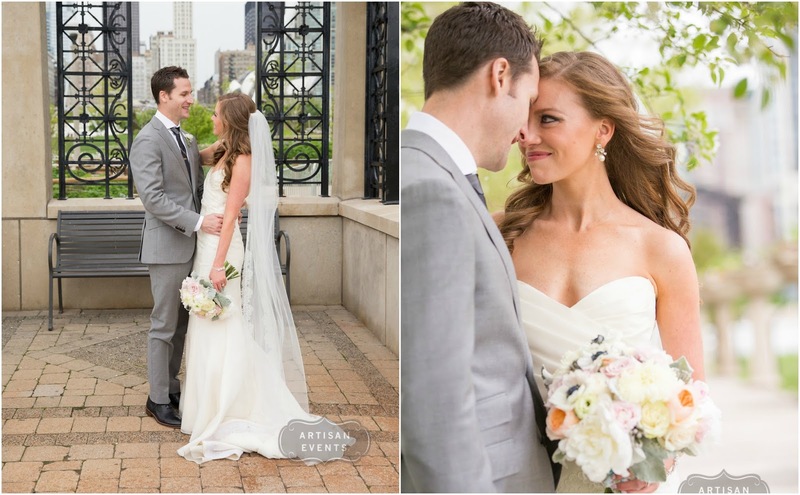 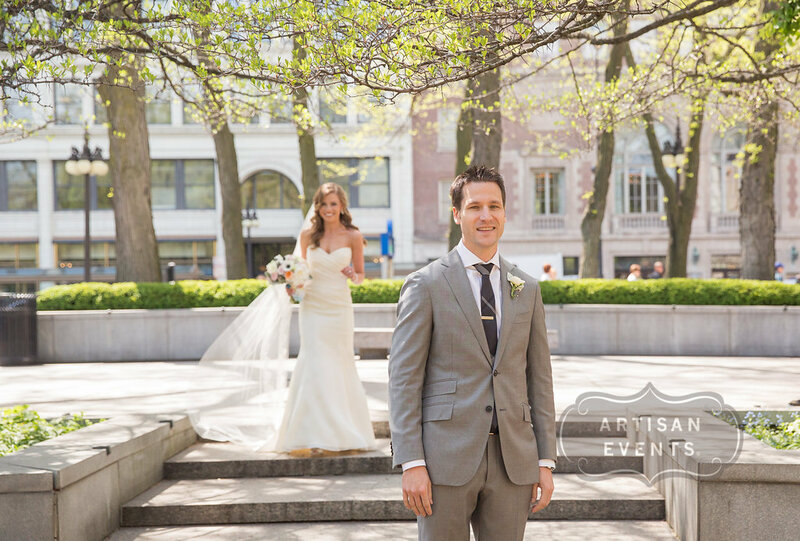 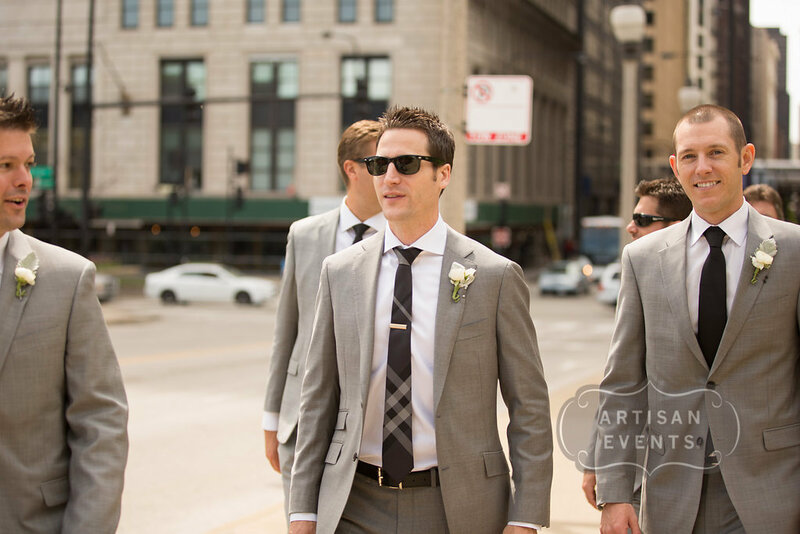 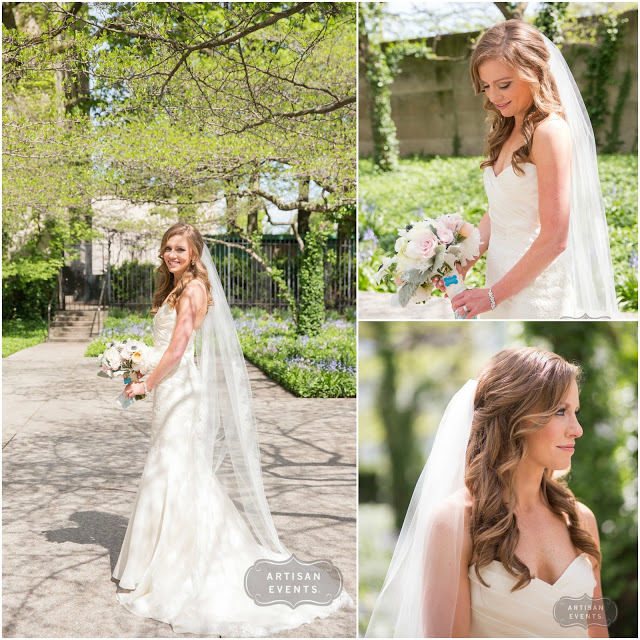 Head over to chicagostyleweddings.com and browse through our collection of Windy City nuptials or check us out on Pinterest!